Lakhinder has always been the responsible one. 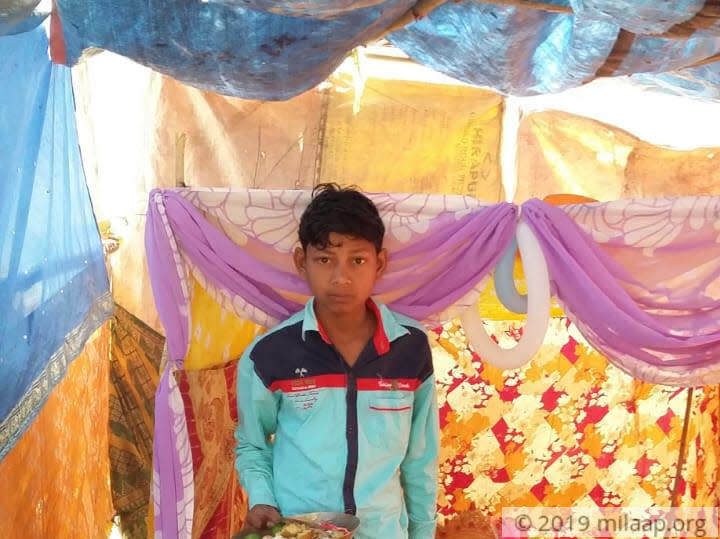 When he saw that his poor father, Sunil, couldn’t afford his studies, he dropped out of school. He started working as a daily wager so that he could help his two younger brothers continue their education. 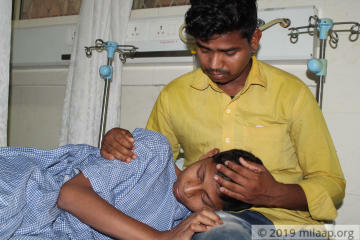 Now away from home, Lakhinder struggles to save his youngest brother, Bablu from cancer. “When we got to know about his cancer, I promised myself that I will do anything to save my brother. Now Bablu hardly speaks. The disease has made him very weak. 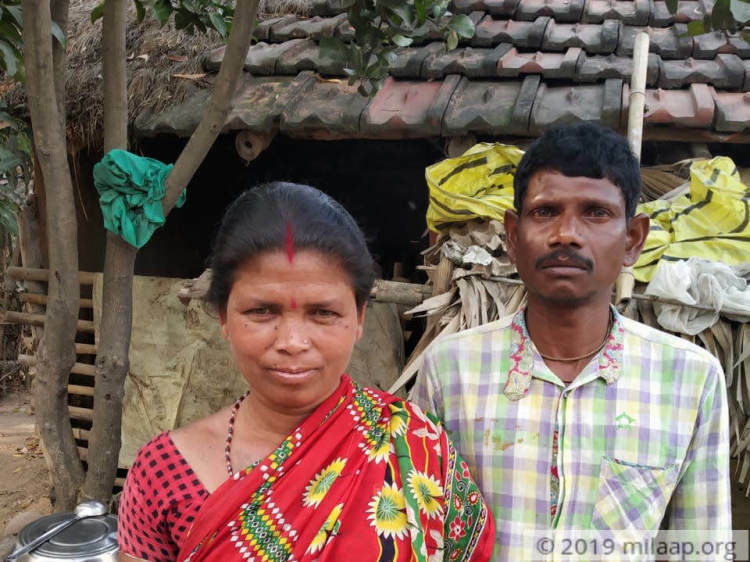 The cancer is spreading rapidly and my brother will not live if I can’t afford his treatment,” - Lakhinder, brother. 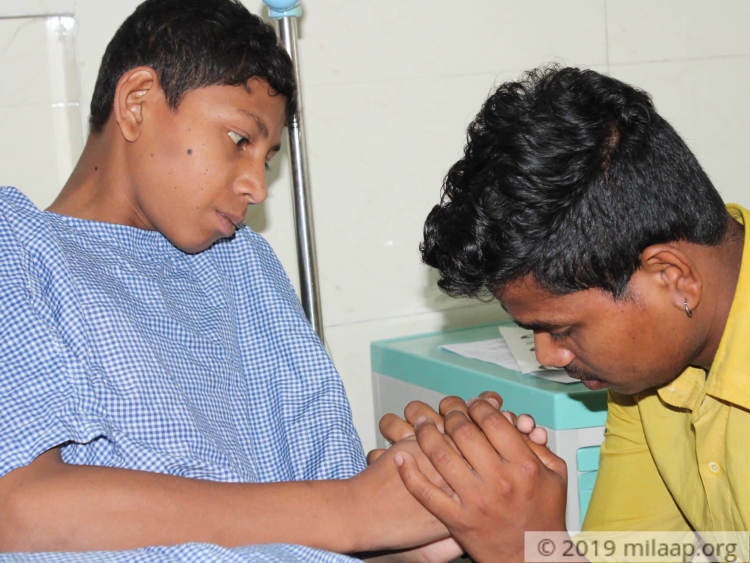 Last August when 15-year-old Bablu complained of a severe pain in his back, Lakhinder (19) wasted no time to take him to Bardhhaman from their hometown, Ghushkora. The doctors said that he had a tumor in his right chest wall that would need surgery. “They promised that surgery would cure my brother. So, I convinced my father to sell the small piece of land he owned for Bablu’s treatment. I used up all my savings too. After the surgery, he was fine for a few months. But in February, the pain started again. This time, I listened to my neighbours and took him to Vydehi, Bangalore. 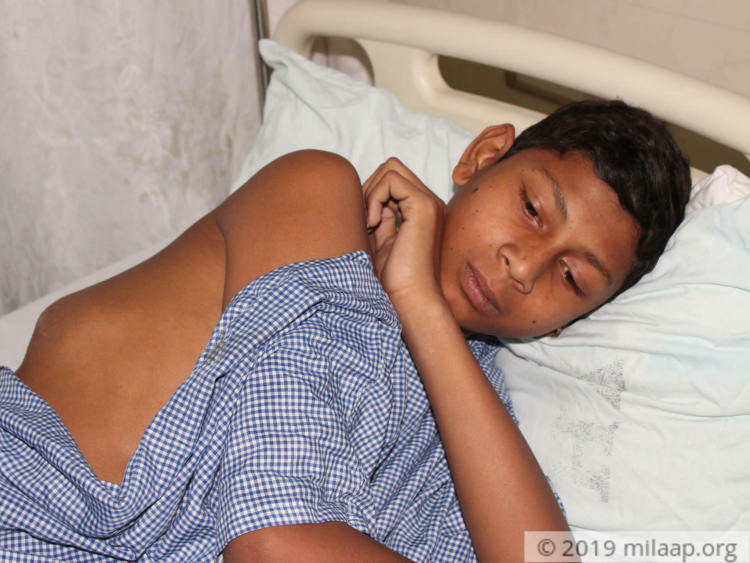 It was here that I got to know Bablu has a cancerous tumour in his chest." Lakhinder makes about Rs 200 a day as a daily wager. He was the only one taking care of everyone in the family until they found out about Bablu’s cancer. Now, as Lakhinder is taking care of his brother alone in Bangalore, Sunil is working on others’ farms to earn extra money. 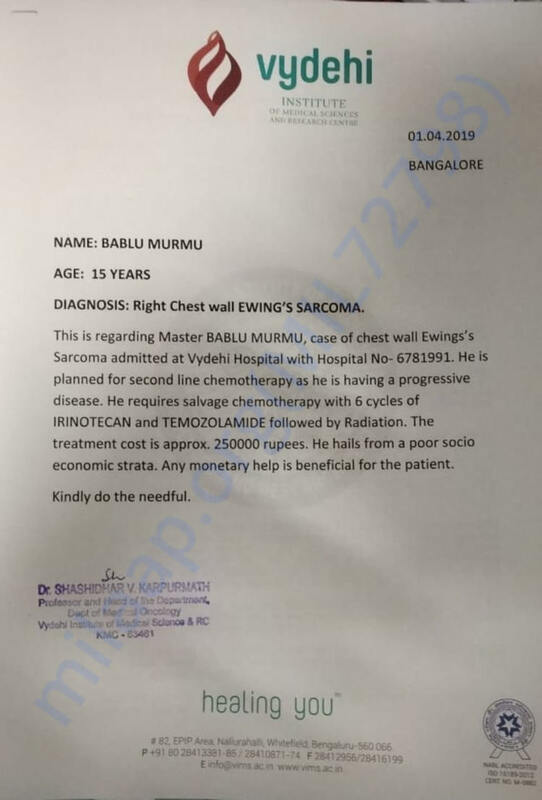 Lakhinder is helpless and needs your help to save his younger brother, Bablu from rapidly spreading cancer. A small contribution from your side will make a big difference in their lives.